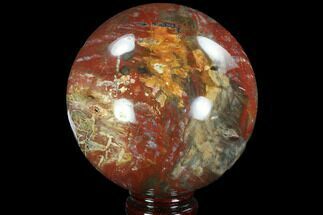 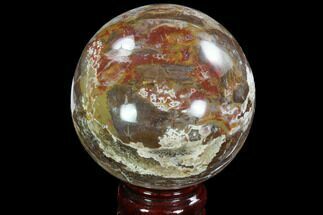 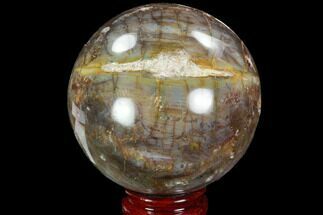 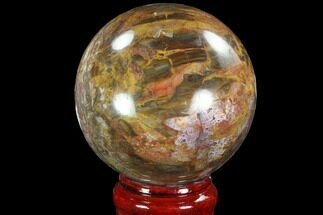 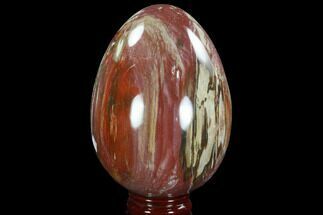 Colorful petrified wood polished into beautiful petrified wood spheres and eggs for display. 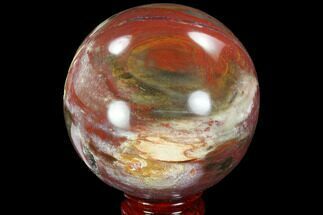 All of the spheres and eggs come with stands for aesthetic display. 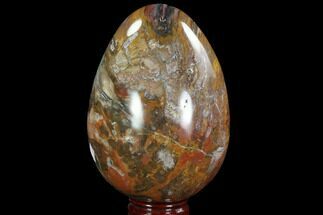 Petrified fossilized wood is wood that has been turned into stone (fossilized) through the process of permineralization. 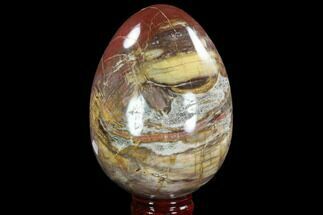 All of the organic matter becomes replaced by minerals, while much of the original structure retained. 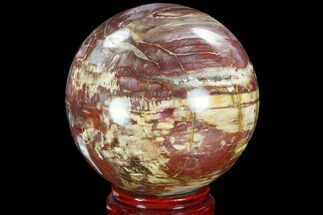 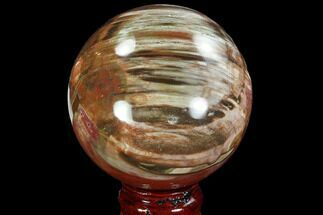 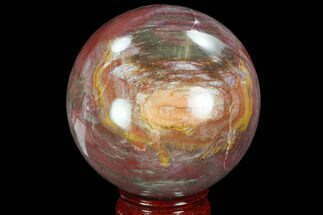 The color is due to the various minerals which replace the original organic material, for example iron creates the reds and oranges often seen in petrified wood.